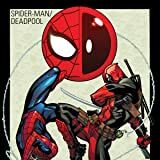 Collects Deadpool (1997) #11, Cable & Deadpool #24, Amazing Spider-Man (1963) #611, Deadpool (2008) #19-21, Avenging Spider-Man #12-13, Deadpool (2012) #10, Deadpool Annual #2. Two great tastes that taste great together! 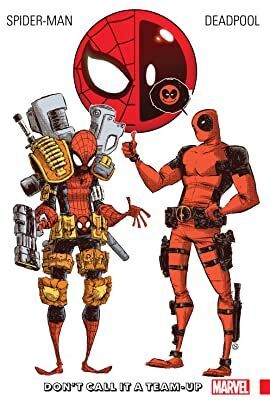 As Spidey and Deadpool fast-talk their way into an ongoing buddy book at last, grab the full story of their unlikely bromance. Through the magic of comics (and time travel), Wade Wilson steps into the swinging shoes of a young Peter Parker! Then, the friendly neighborhood wall-crawler and the anti-social there-goes-the-neighborhood merc trade blows and "yo mama" quips. If friendship blossoms during encounters with Hit-Monkey and the Hypno-Hustler, will that jerk Otto Octavius ruin everything by being all Superior? And could dreams come true for DP — swapping those stinky red-and-blacks for the good ol' red-and-blues? !